Quadruple staining of mouse vein graft. Confocal fluorescent microscopy shows DII4 (green), Mac 3 (orange), α- SMA (red), and nuclei (blue). Calcific mineral forms from merger of calcifying EVs. Microcalcifications are observed in high resolution micro-computed tomography. Fluorescence microscopy shows microcalcifications (red) between collagen fibers (green), and electron microscopy reveals that the microcalcifications are composed of aggregated EVs. Our laboratories explore the mechanisms for cardiovascular diseases. We focus on macrophage biology and microcalcification development in atherosclerosis, heart valve disease, and metabolic disorders. Calcific Aortic Valve Disease: Dialog Between Clinical and Basic Scientists. 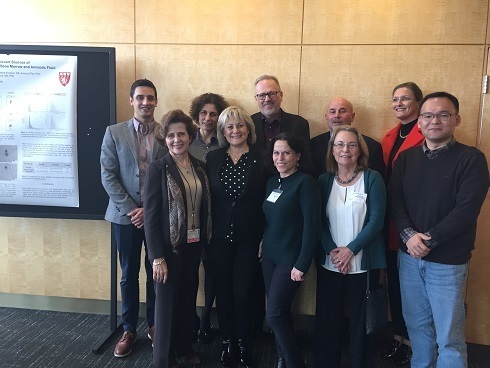 The symposium took place at CICS on April 2nd, 2019. 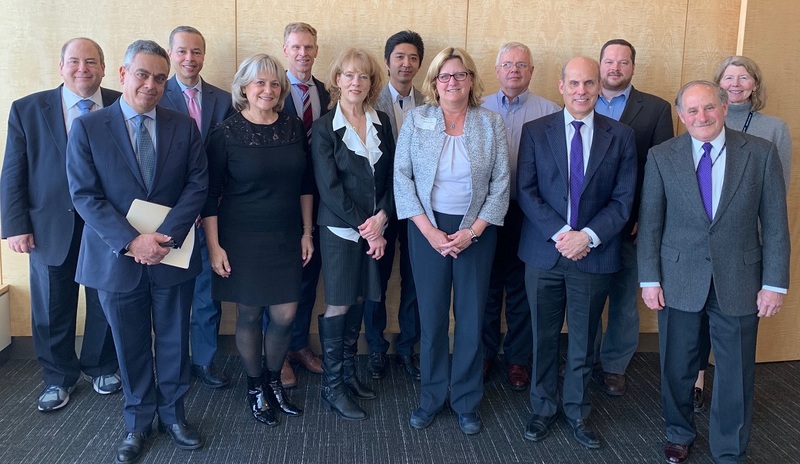 Special thanks to our outstanding speakers Sharon M. Moe, MD, Danny Muehlshlegel, MD, Kamal Khabbaz, MD, Tsuyoshi Kaneko, MD, Ahmed Tawakol, MD, Kristina I. Bostrom, MD, Raul Guzman, MD, Frank Evans, PhD, Julius Decano, MD, Jasim Ahamed, PhD, and Pat O’Gara, MD. Thank you all for attending and see you next year. Toshiaki Nakano et al., just published "Uremic Toxin Indoxyl Sulfate Promotes Proinflammatory Macrophage Activation Via the Interplay of OATP2B1 and DII4-Notch Signaling" in Circulation. Read it here! The symposium took place at CICS on November 28, 2018. 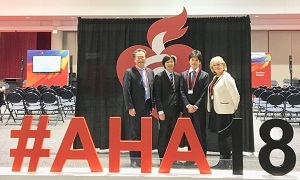 Shunsuke Katsuki and Ryo Kawakami presented their data in the oral sessions of the AHA 2018 . Congrats to both of them. Shunsuke was invited to the ATVB early career networking reception. 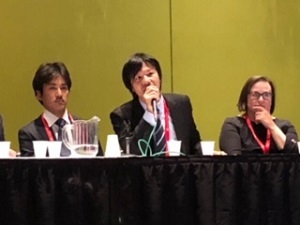 Masanori Aikawa moderated at World Medical Innovation Forum 2017, the Special Focus Session “Japan Today”. Here is a link to the Japan session on this YouTube channel.